Need to chill out? Calm down and relax. These organic herbal bath bags contain lemon balm and lavender, with calming, soothing, anti-depressant properties, and oatmeal - the natural pH balanced cleanser. Scented with lavender and lemon essential oils. 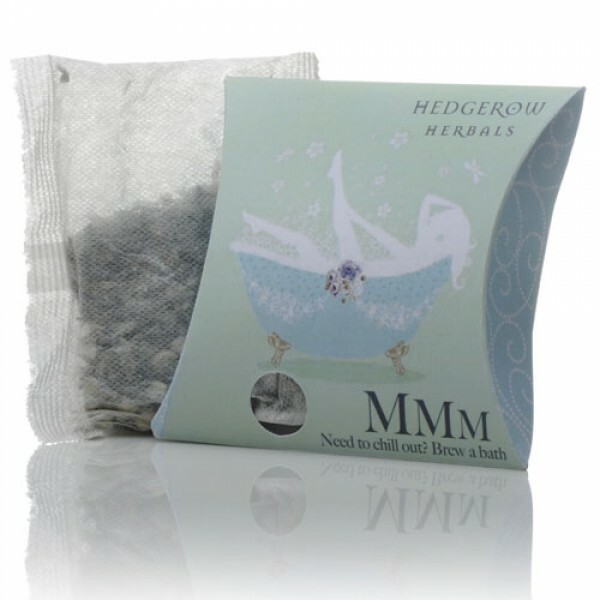 These fun but practical giant bath tea bags bring back the luxury of bathing with herbs without leaving your bath looking like someone emptied the lawnmower in it! 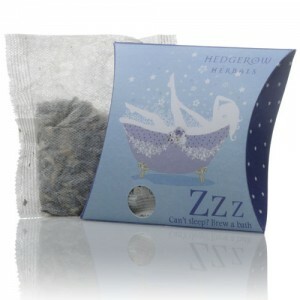 Hedgerow Herbals products rely as much as possible on the herbs themselves to provide the qualities of each product. All products are handmade using only basic machines to help blend, mix and pack them. Simple processes are used to leave the herbal ingredients as unaltered as possible. All products are 100% Vegetarian, no animal ingredients are used except honey and goat milk (in a few products) which are products naturally produced by animals without causing them harm. IMPORTANT NOTE: For external use only. These bags are to be put in the bath, they should not be used to make a tea to drink!